If you’re looking for a quick and conservative way to fix minor cosmetic smile flaws, you may be an ideal candidate for dental bonding. At the Center for Advanced Dentistry, skilled Red Bank cosmetic dentist Michael Bixby offers dental bonding and other technologically advanced treatments, including porcelain veneers and teeth whitening. Your aesthetic goals are a priority at our practice. Dental bonding is a treatment that uses tooth-colored dental resins to repair small cosmetic imperfections in the teeth. Dental bonding is relatively inexpensive, and can be completed in a single, painless visit. During your dental bonding procedure, Dr. Bixby applies resins to a carefully prepared tooth. The resin is available in a variety of shades, and can be used to match or whiten the natural tooth. Dr. Bixby sculpts the resin into the desired shape and size, and then hardens the material with a special light. The surface of the bonded tooth is buffed and polished to ensure it blends naturally with the surrounding teeth, and the dental bonding procedure is complete. Caring for a bonded tooth is easy; it requires the same treatment you would give a natural tooth. Daily tooth brushing and flossing are vitally important to prevent tooth decay, gum disease, stains, and other oral health concerns. Patients should also avoid chewing on certain hard foods and objects such as hard candy and ice to prevent damage to the dental bonding material. With attentive care, your bonded teeth will last for years. At the Michael Bixby Center for Advanced Dentistry, aesthetic dentistry is one of our primary focuses. In addition to dental bonding, we offer state-of-the-art smile makeover treatments, including porcelain veneers and teeth whitening. Porcelain Veneers - A comprehensive smile makeover treatment, porcelains veneers are an ideal way to dramatically correct the shape, color, spacing, size, and alignment of your teeth. Dr. Bixby has successfully transformed the smiles of our Red Bank porcelain veneers patients. Veneers are extremely thin shells created from highly-durable porcelain that are bonded to the front of the teeth. Unlike dental bonding, porcelain veneers will not stain over time. Teeth Whitening -If your smile has dulled and darkened from coffee, red wine, tobacco, and medications, our teeth whitening treatments can vividly brighten your smile. 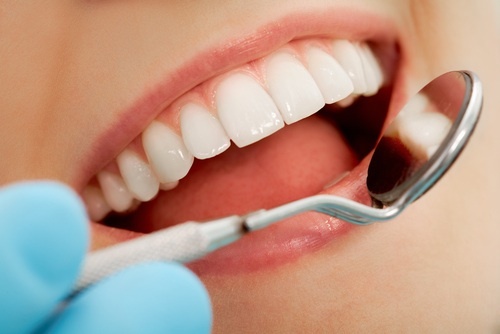 We offer two different teeth whitening treatment systems to meet any patient’s needs. DayWhite® - Ideal for patients with sensitive teeth or who prefer to whiten from the comfort of home, DayWhite® uses custom-fit trays that are worn twice a day for thirty minutes. The system features professional-strength whitening agents with varying levels of intensity that work quickly, with no need for overnight wear. Zoom!® Teeth Whitening - When patients want to dramatically whiten their teeth in one easy appointment, Zoom!® teeth whitening is a popular smile treatment. In less than one hour, Zoom!® brightens teeth by up to eight shades. Dr. Bixby and our caring staff can answer any questions you have about dental bonding or any of our other treatments. To schedule your consultation, please contact our Red Bank cosmetic dentistry center at your convenience.